Product prices and availability are accurate as of 2019-04-17 15:13:44 EDT and are subject to change. Any price and availability information displayed on http://www.amazon.com/ at the time of purchase will apply to the purchase of this product. Skip the restaurant and make your favorite fried dishes at home with the sleek stainless steel Aroma Smart Fry XL. With three included fry baskets you can cook up one large batch of a single dish or cook two separate dishes side by side. 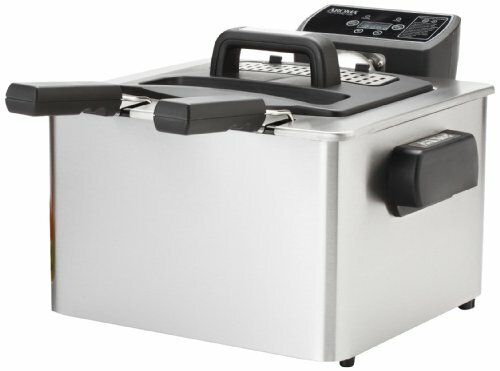 With large 4-quart capacity, glass monitoring window and easy-to-use digital controls (including 10 preprogrammed functions for classic fried foods) your meals are both simple and delicious. 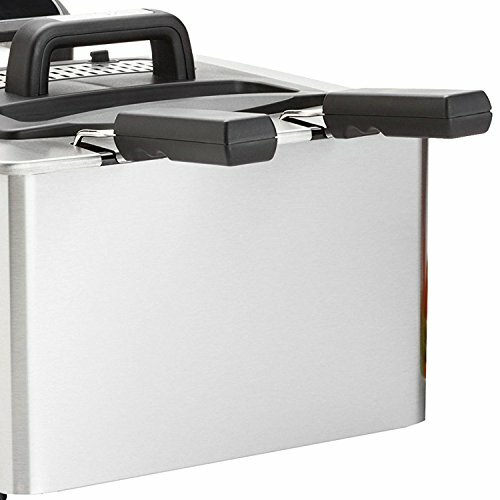 The powerful 1800-watt immersed heating element provides quick and even heating for crispy, delicious fried results. 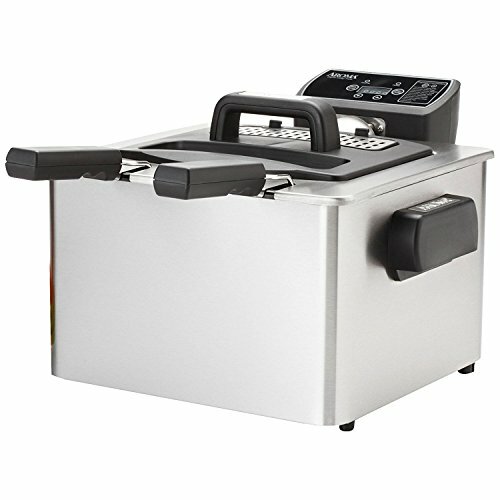 The programmable countdown timer eliminates the need to watch the clock while frying. And, when the frying is done, the removable enameled oil pot and all non-electric parts clean easily in the dishwasher. Includes dual filters, one extra large fry basket and two regular frying baskets.